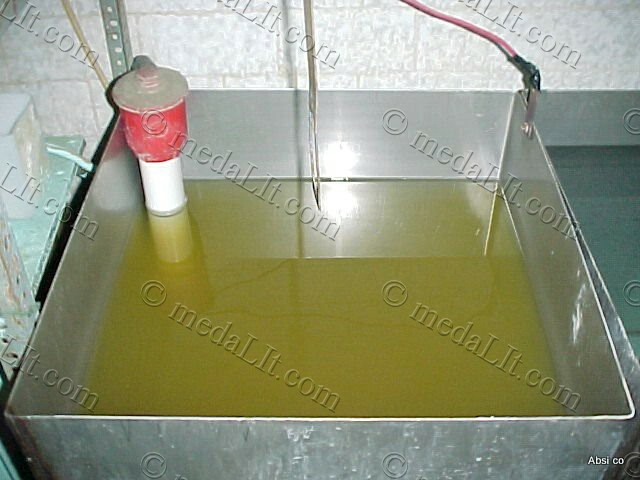 Electroplating (often just called "plating") is the deposition of a metal coating onto an object by putting a negative charge on it and putting it into a solution which contains a metal salt. The metal salt contains positively charged metal ions which are attracted to the negatively charged object and are "reduced" to metallic form upon it. 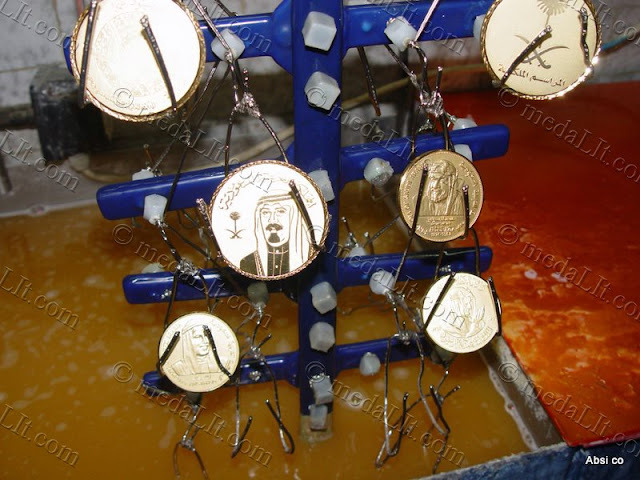 In simple words electroplating or plating is a process whereby a very thin layer of a metal is transferred chemically to cover the surface of another metal. For example a gold-plated metal object has a very fine coat (only a few microns) of 24 K gold. Adding metal plating such as silver or gold makes your metal award look more valuable and attractive. Because gold resists oxidation gold-plating will also protect your medal, plaque or metal award.